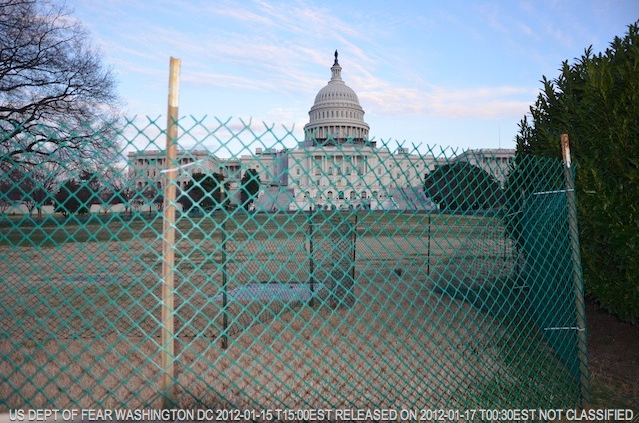 To protect Congress from the people in advance of the "Occupy Congress" protest Tuesday in Washington, we put a double ring of fencing around the Capitol Building. 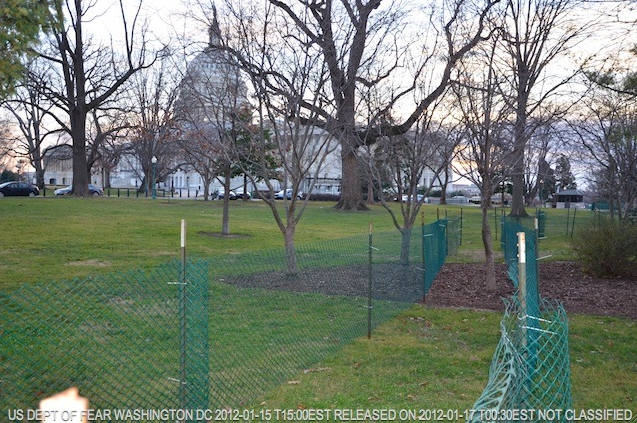 The new fencing is the centerpiece of our "Green Zone DC" initiative. 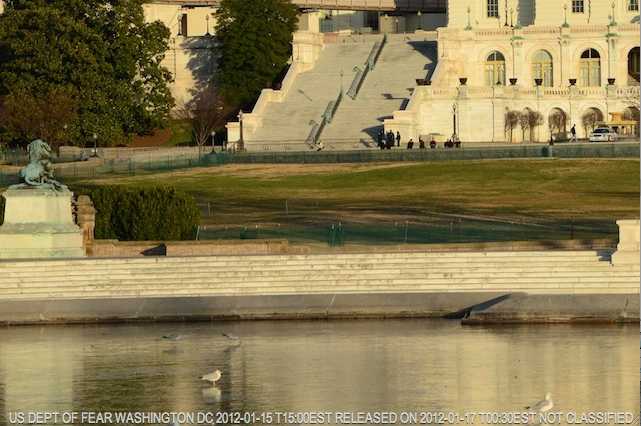 What is Green Zone DC? 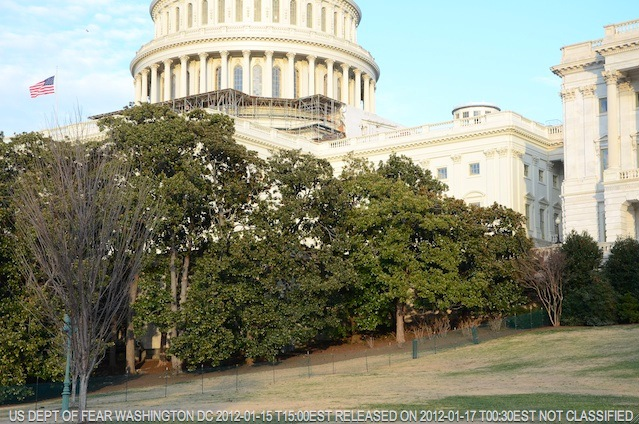 Modeled after our former seat of government in Baghdad, Green Zone DC will comprise a system of fortifications designed to keep the People at a distance from Congress. 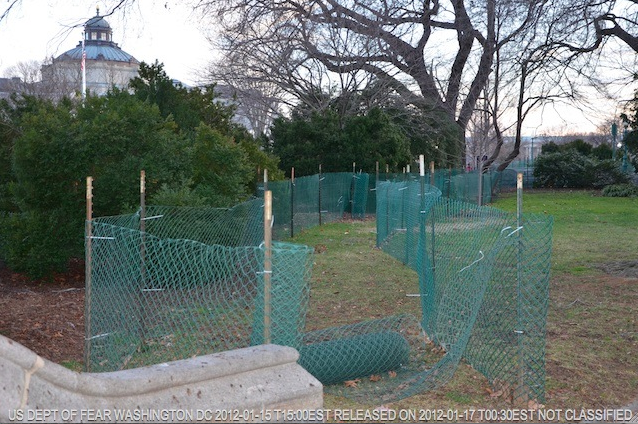 The temporary fencing we have in place today is only a beginning. 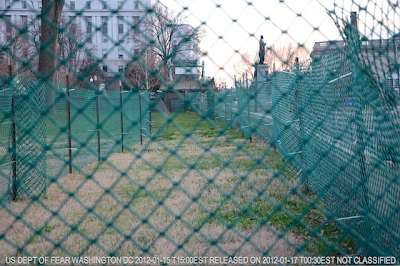 Both parties have agreed in principle to allocate $350 million to make the double fencing permanent. They're only arguing about how to pay for it. The GOP wants the money to come out of a school lunch program for handicapped orphans, and the Democrats propose that permanent fencing be funded through a new "mansion tax" on homes valued at more than $500,000. The plan for Green Zone DC is on display inside the recently competed $1 billion dollar Capitol Visitor Center. Similar to Green Zone DC, the thinking behind the Visitor Center was to protect our political leaders from the public. The first five photos show the double ring of fencing we installed around the U.S. Capital Building in advance of the "Occupy Congress" protest. 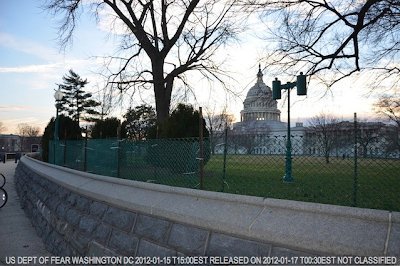 The space between the perimeter fences is intended to be wide enough for an officer mounted on a horse. The final four photos show the Capitol Detainment Zone and Arrest Venue (aka "the West Lawn") which we have surrounded with double fences. The space between the fences is wide enough for us to ride two horses. 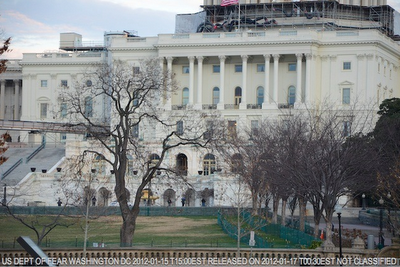 It provides a corridor from which we intend to videotape and photograph protesters. These images will go into a database which we plan to share with various government agencies including the FBI and Customs and Immigration Enforcement (ICE) which now deports U.S. citizens for us. 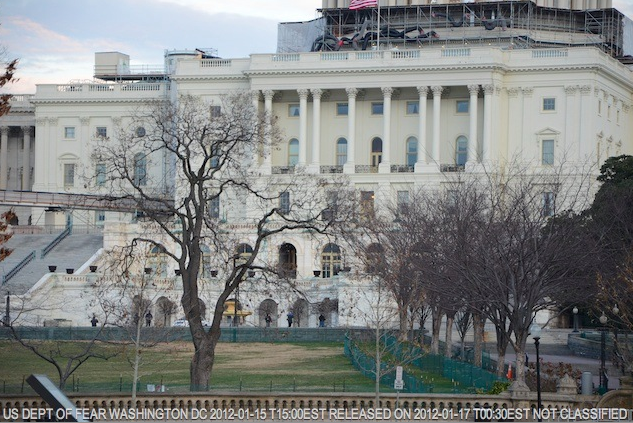 We may also decide to share the images with foreign governments and private corporations. If we get annoyed by what we overhear the protesters saying and we feel like pepper spraying them, the double fencing provides a quiet area from which to assault them with our chemical weapons. Depending on wind conditions, we may volley canisters of the new tear gas the Egyptian junta kindly tested for us in November. Members of the public have provided some feedback about our new fences on Twitter. You are welcome to tweet your own comments to @FearDept. 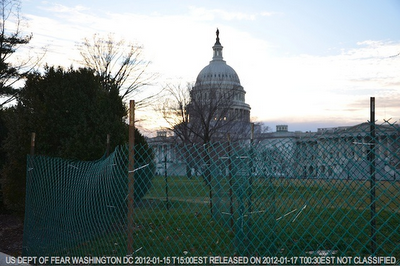 Suggested hashtags are #FearFence and #GreenZoneDC. The Democrat position is a front. They intend for it to come out of the lunch program as well, but they want to be seen as having it forced on them by the Republicans. With any luck, they can tie it to removal of the school nursing program as well. I think that it's just for security sake which is good for the people. Could you please also add a moat with alligators? Thank you for your service and keeping us safe and providing well paying jobs that our country so desperately needs and depends on.